VLC media player is the most stable, flexible and lightweight audio and video player around today. 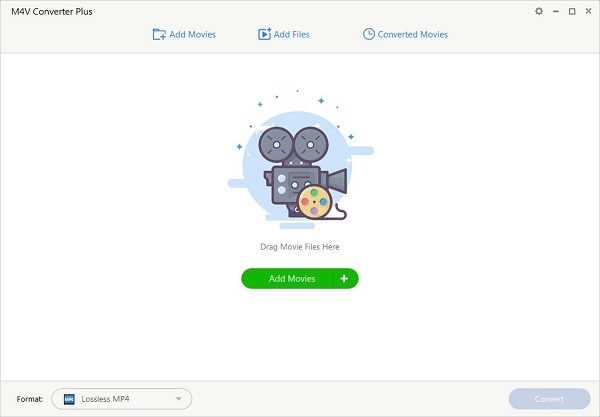 Compared to other similar media player, it is commonly used program which can support a wide range of formats, play BluRay and HD and run on all platforms, including Windows, Linux, Mac OS X, Unix, iOS and Android. An unknown error may occurred while you transfer iTunes videos to VLC directly. That's because purchased or rented movies from iTunes Store are in M4V video formats with Apple DRM FairPlay. It prevents you copying and playing iTunes media files on common media players apart from Apple devices. If you have a lot of movies in your iTunes library and want to play them on VLC media player, what should you do? Don't worry, the following tutorial will demonstrate how to help you to play iTunes movies on VLC. Here is the easiest way to convert iTunes movies to VLC media player with the help of iTunes to VLC converter - M4V Converter Plus. It allows you to strip Apple FairPlay from iTunes videos and convert them to common video formats without any quality loss. 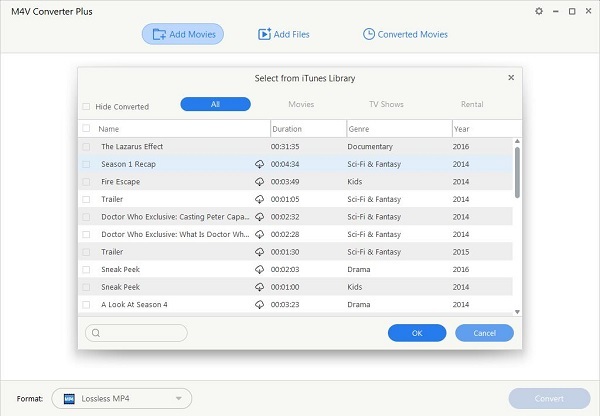 This smart program can convert purchased iTunes movies as well as iTunes Rentals. It is simple, clean and easy to use. Just free downlaod and have a try. You'll enjoy all the features listed below. 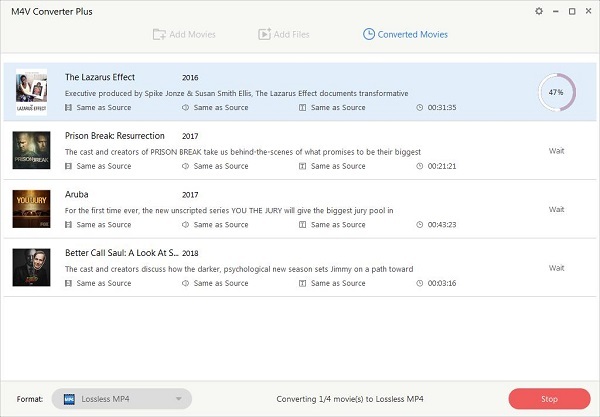 Support output video files such as MP4, WMV, MOV, AVI, VOB, 3GP, MPEG and HD videos. It provides various popular devices like iPhone 7, iPad, Samsung Galaxy, Google Nexus, Game console, etc. It works well on Windows 7, Win 8 and Win 10 with the latest iTunes installed. 1. Download and install the iTunes to VLC Converter on your computer. launch the program and iTunes will open automatically at the same time. You can click Add Movies button in the top left corner to import iTunes video to the program, or drag and drop the files to the main window directly. 3. Go to the Profile panel to select a right output format for VLC. Go to Profile blue panel, click on More.... It will pop up an Output Parameters window and scroll to the profile drop-down list, you can choose a right video format for playing on VLC. 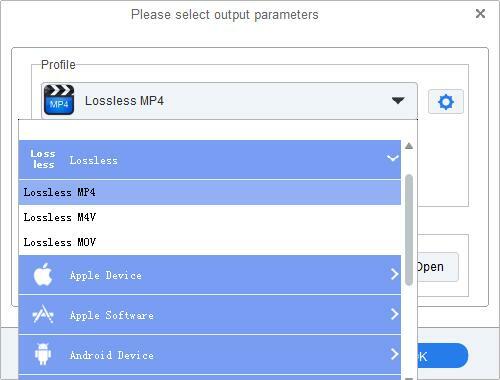 Or you can also select Lossless MP4 by default. 4. Click profile panel again, the iTunes to VLC conversion will begin shortly. Wait a moment, you can find the converted files on the Converted Movies folder. Now you can play iTunes movies on VLC media players freely.